Untitled (I'm the hottest person you'll ever be with), 2018, Collaged photographs, postcards, tape, vinyl, and duralar, 8 x 10 inches. 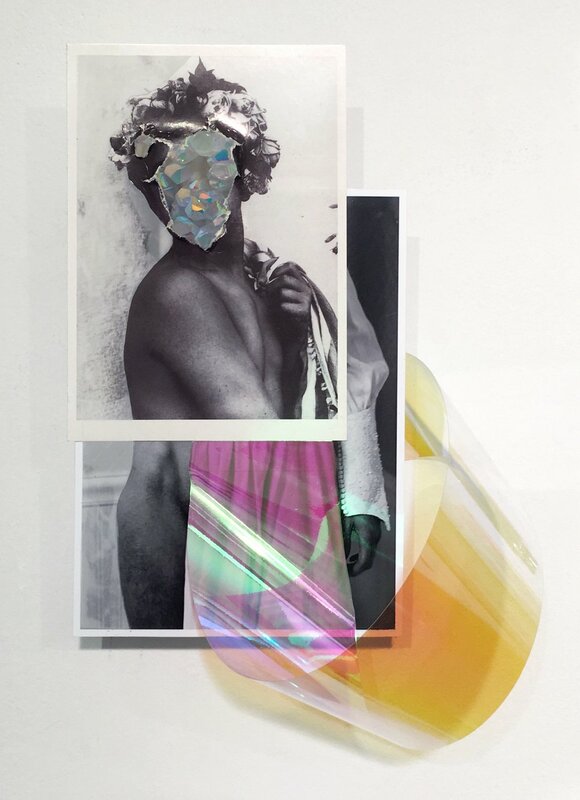 Untitled (Möbius strip tease), 2018, Collaged photographs, postcards, tape, vinyl, and crystal, 10 x 5 inches (variable). Untitled (Pride before the fall), 2018, Collaged photographs, postcards, tape, vinyl, and duralar, 10 x 8 inches. Untitled (Hold tight butter cup), 2018, Collaged photographs, glitter, rhinestones, postcards, tape, and duralar, 10 x 8 inches. Untitled (We had no future cause you don't believe in marriage), 2018, Collaged photographs, tape, vinyl, and duralar, 14 x 11 inches. Untitled (Paynes Prairie Golden Hour), 2018, Collaged photographs, glitter, postcards, tape, vinyl, and duralar, 10 x 8 inches. 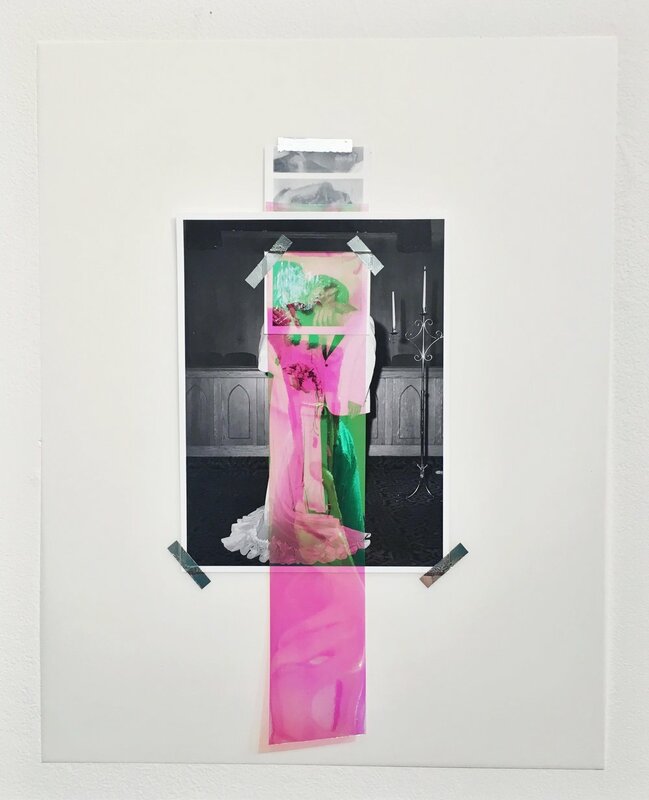 Untitled (Hang in there buddy), 2018, Collaged photographs, postcards, tape, vinyl, earring, and duralar, 8 x 4 inches (variable). 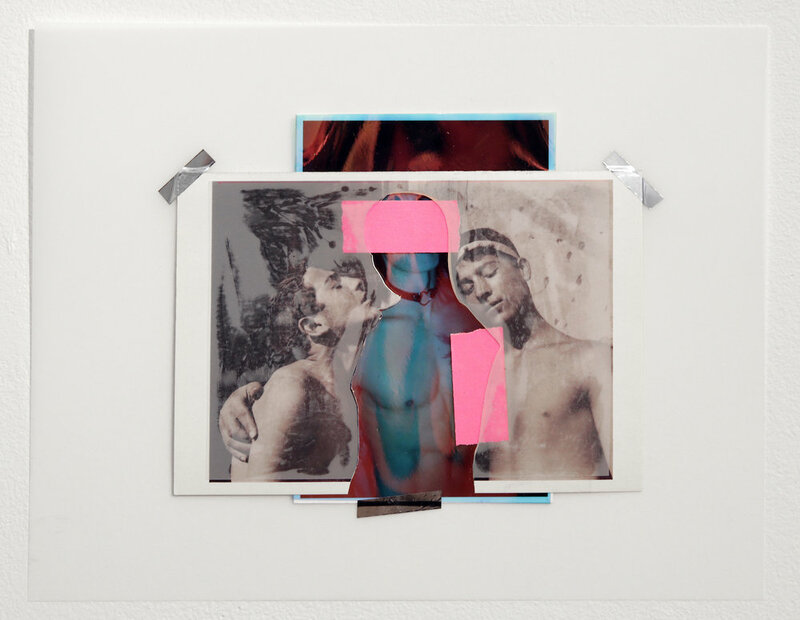 Untitled (Summer fling go-go boy), 2018, Collaged photographs, postcards, tape, vinyl, and plexiglass, 10 x 4 inches (variable). Untitled (Hey QT), 2018, Collaged photographs, glitter, feathers, postcards, tape, and duralar, 10 x 8 inches.